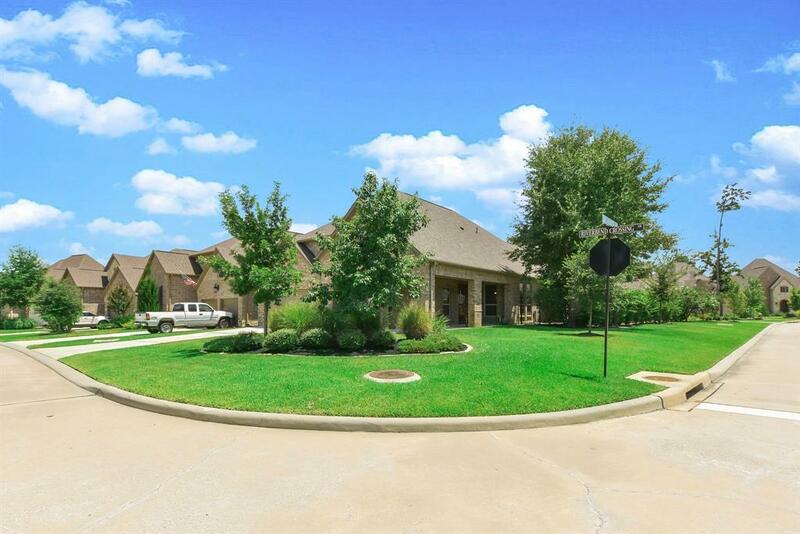 Like new Darling home in thriving subdivision of Woodforest surrounded by the award winning Woodforest Golf Course, endless amenities and friendly neighbors! 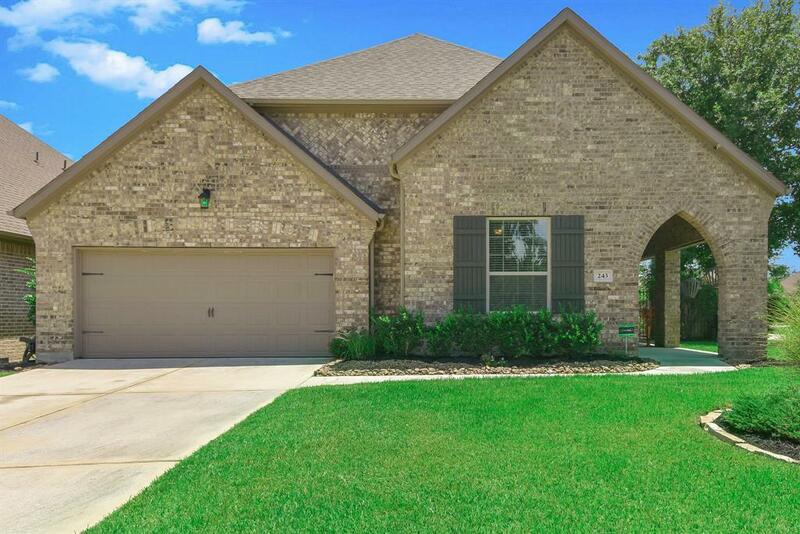 Situated on over sized corner lot, hand scraped hard wood floors throughout, formal dining, new carpet, security system with cameras, 3 could be 4 bedrooms, over sized home office with french doors, open concept kitchen/ living area perfect for entertaining and family gatherings. Sophisticated kitchen features quality stainless steel appliances, farm house sink, custom back splash, and over sized island with granite counter-tops. Breakfast area with wall of windows overlooks scenic backyard. 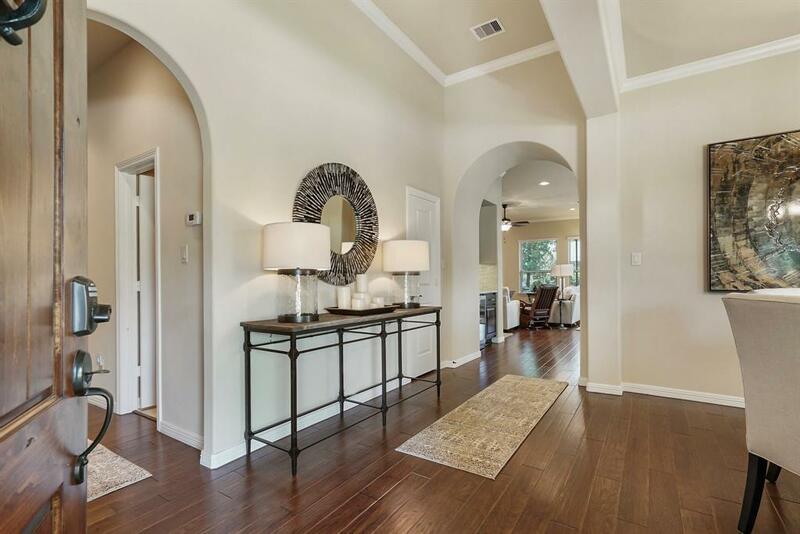 Expansive Master Suite with resort style master bath. 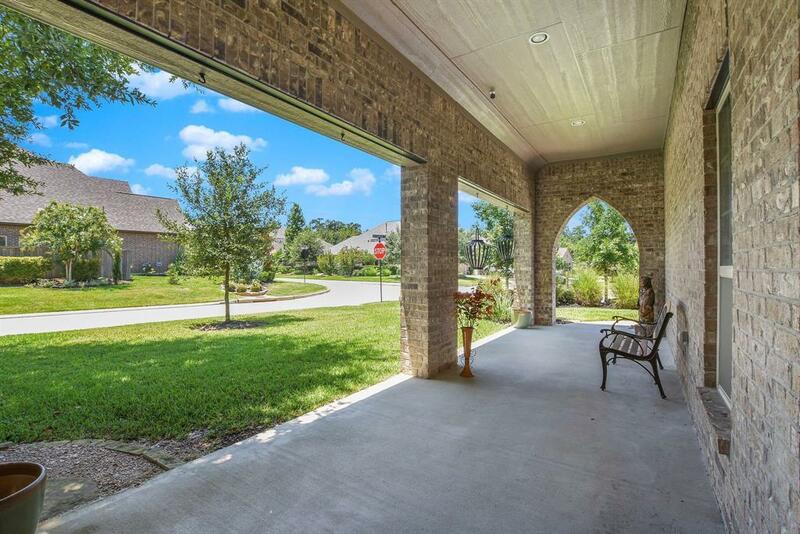 All bedrooms are spacious, excellent backyard with large screened-in patio and outdoor fireplace.